When sound waves of high amplitude propagate, several non-linear effects occur. Ultrasonic studies in liquid mixtures provide valuable information about structure and interaction in such systems. 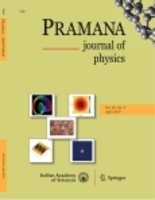 The present investigation comprises of theoretical evaluation of the acoustic non-linearity parameter B/A of four binary liquid mixtures using Tong and Dong equation at high pressures and T=303.15 K. Thermodynamic method has also been used to calculate the non-linearity parameter after making certain approximations.